In my opinion, very fun-to-drive car. Port, but not from Forza. Model is quite low-poly and simple (even in usual Forza standards, I’m not even talking about AC), although I’ve smoothed it in some places and added some details. Sadly, AI doesn’t work at all. One rear wheel is simulated through very short rear axle and it looks like AC's AI freaks out by its shortness every time it wants to turn. If you’ll find any solution, please, tell us how. Previews were generated with Content Manager. 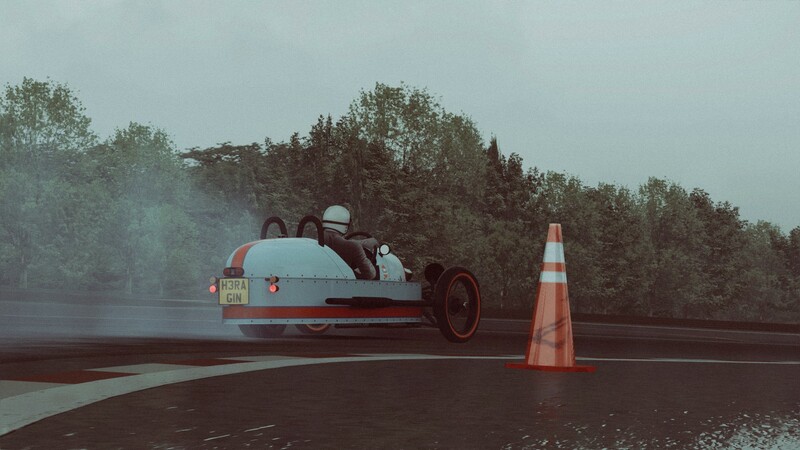 0.9.8: Update for AC 1.7, new tires, physics fixed, some visual improvements. I got this car from a different source. It's a blast to drive if you don't care much about lap times or speed. Shame that the custom sound bank doesn't work in the latest build. Do you plan to update the sound sometime? 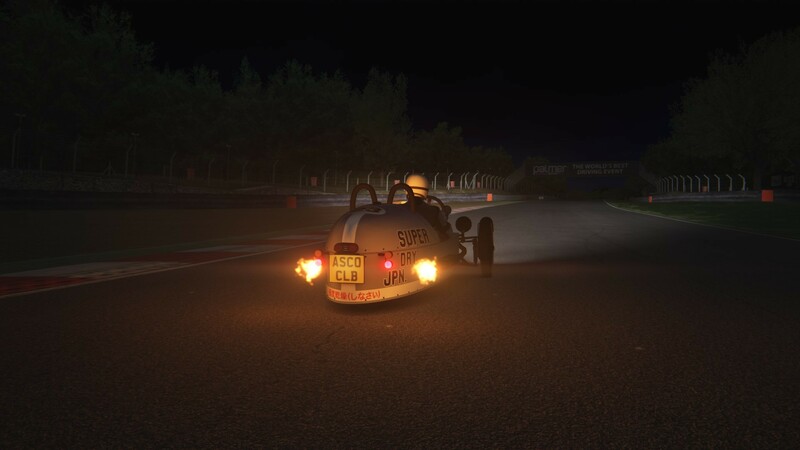 Thankfully AC has the Abarth 595 which has the only two cylinder sound in the vanilla game, but is not the same without the typical rumbling sound of this thing in real life. Great car to play with, even if it's a convert and cannot be used by the AI during races. 76561198044451821 thank you! Here is an updated version, I was going to update it some more and put here, but got distracted by CM issues. Will update properly soon, model needs some tweaks. Oh man, I can't believe it! It still drives as gracefully as ever, but the correct sound enhances the experience considerably. I also like how you added exhaust flames. I have to admit something: last year, right after I got the old version, I took some additional liberties with this litte car, which involved more than just changing the malfunctioning sound. I edited the data.acd file to add flames, for personal use. Your CM's Custom Showroom has made this process so easy with the little red arrows that point in the direction of the flames. A badass car like this with exposed, shaking exhaust totally deserves flames, IMO. I also used the templates to make a pair of custom plates for myself on my favourite skins. I really wish most AC car mods had this level of quality and customization. Even if it's just a convert, this is the perfect proof that converts can be good too. I understand that some sites don't allow them for copyright reasons, though. 76561198044451821 thank you, I’m glad you noticed! I’ve added quite a few things to it, such as steering arms. I wonder if I’d made a new original model based on dimensions and shape of this one, but more detailed and maybe accurate, would that count as an original? Those flames look especially cool at night, imo.